NY's attorney general is one of the most powerful in the nation. That should worry Trump. 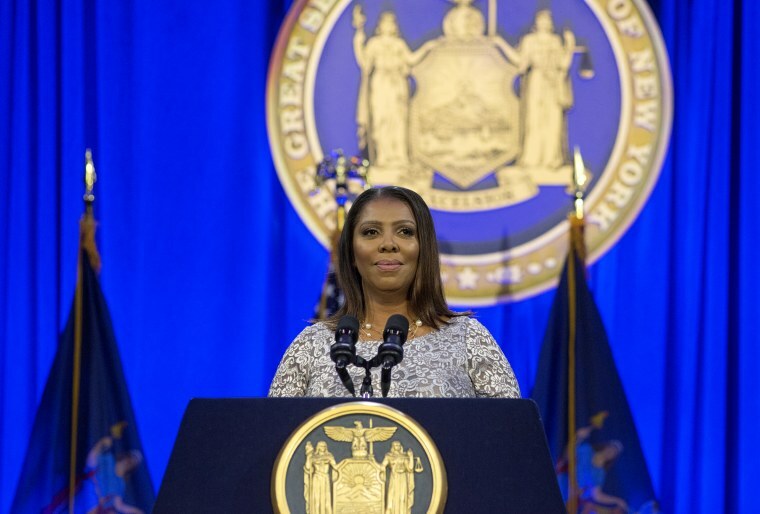 Shortly after her election in November, New York Attorney General Letitia James vowed to "use every area of the law" to probe President Donald Trump, his family and associates, and his business. With special counsel Robert Mueller's probe now complete, others' investigations, including the New York attorney general's, are continuing. James recently subpoenaed Trump's banks, seeking information about the Trump Organization and the president's finances. Though Trump has dismissed these efforts as "presidential harassment" and tweeted that James, a Democrat, "openly campaigned on a GET TRUMP agenda," several former New York attorneys general and legal experts say the president could have plenty to fear. "There's broad power — there's no question," Oliver Koppell, a Democrat who served as New York attorney general in 1994, told NBC News of the substantial authority and tools the office has to investigate and prosecute businesses for fraud. New York law allows the attorney general to seek restitution and damages — and, in extreme cases, dissolution — if a business is found to have engaged in persistent fraud. There's also the Martin Act, a 1921 statute designed to protect investors. Past attorneys general have used the Martin Act, considered to be the U.S.'s toughest such state statute in this realm, to expand their powers in the financial crimes sector. The law empowers the attorney general to subpoena witnesses and documents for information pertaining to possible fraud. The statute "really does apply to almost any financial transaction in New York state," he said. Koppell said that it was former Democratic New York Attorney General Eliot Spitzer, who served from 1999 to 2006, who wrote the modern playbook that James could follow. Spitzer "really kind of expanded the scope of attorney general work in the area of financial fraud," Koppell said. Spitzer's investigation of American International Group and its then-CEO Maurice "Hank" Greenberg, for example, may have parallels to James' latest lines of inquiry into Trump's businesses. The then-attorney general alleged that the insurance giant's top executives engaged in fraudulent business practices. Those executives settled with the state in 2017, agreeing to forfeit about $10 million in performance bonuses, a fraction of what New York sought. It's rare for the attorney general to seek the dissolution of a business, but it has happened. In 1994, the state closed down an education company that repeatedly failed to comply with student loan regulations. In "People by Abrams v. Oliver School," a New York appellate court affirmed the dissolution and said the power was typically used "as a remedy for persistent consumer fraud." The power has been described by the state Supreme Court as a "judgment of corporate death," with the offending company's transgressions needing to be so serious "as to harm or menace the public welfare" in order for it to be an appropriate remedy. The public first became aware of James' new inquiry into Trump and his business after she recently subpoenaed Deutsche Bank and Investors Bank for records regarding some of Trump's business dealings and his failed 2014 effort to buy the NFL's Buffalo Bills. Like her office's ongoing probe into the Trump Foundation, which led to the dissolution of the president's charity, the latest inquiry into Trump's business dealings is a civil investigation. James opened the probe after Michael Cohen, the president's former attorney, testified to Congress last month that Trump inflated the worth of his assets in financial statements that he provided to banks to secure loans. A source familiar with James' investigation told NBC News the probe appears to be moving quickly. Speaking with MSNBC's Ali Velshi on Friday, James said she could not provide a status update on the latest investigation but did say she has standing to probe Trump because "most of his business activities are performed in New York, he engages in business in New York, he operates in New York and it's really critically important that New Yorkers as taxpayers — it's really critically important that we understand and know whether or not he devalued his corporations and he received some tax benefits thereof, that he engaged in false claims against New Yorkers." "And as a result of that we are seeking to see what we can do legally," she continued. "But until such time as we review all of the information and all of the information that we are seeking, that is all I can say at this point in time." It is not yet clear what the scope or focus of James' new probe is, but former New York attorneys general told NBC News that she could use her office's sweeping powers as part of an investigation into whether Trump had defrauded consumers, which is when those powers are typically used, or financial institutions. "The DNA of the conduct is the same, whether it's defrauding a financial institution or defrauding investors or consumers," Vacco said, adding that he was not vouching for the basis of James' investigation. "Because, at the end of the day, it's still fraud." "In this instance, it's a legitimate business (banks that loaned to Trump) that is being defrauded," former New York Attorney General Robert Abrams, a Democrat who served from 1979 to 1993, told NBC News. "Decisions are being made against fraudulent information." 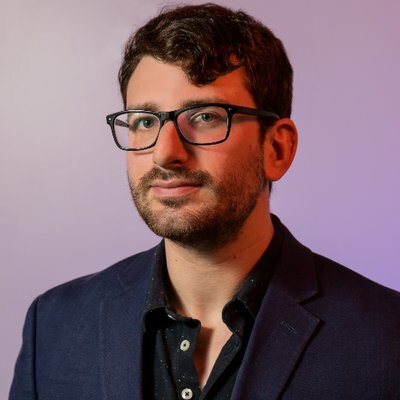 "There's a wide variety of roles and opportunities for enforcement of the law and protection for those who are being victimized by false representations, misleading statements, advertising information provided in the application process, whatever," added Abrams, who said he went after businesses for fraud "virtually every day and every week." "Now we have this delicate balance of being able to move fast enough so that they can get evidence with civil subpoenas and civil process of discovery, but not so aggressively that they look to be moving politically with potentially abusing their power," he said. Nonetheless, the probe itself poses danger to Trump because of James' broad powers, according to NBC News/MSNBC legal analyst Glenn Kirschner. Kirschner, a former federal prosecutor, said if the documents James is seeking show that Trump misled banks about his assets, proving fraud "should be like shooting fish in a barrel for the New York AG."